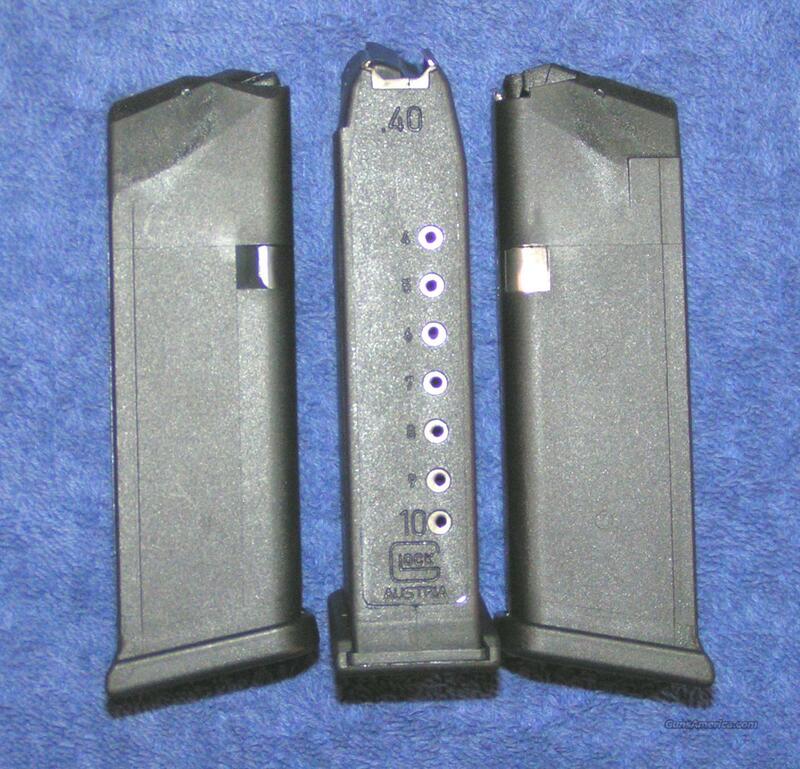 Description: Three new factory Glock 23 mags. 4th Gen. Fits in all generation guns. Holds 10 rounds of 40 cal. New, never inserted into a gun or loaded. Also works in Glock 27, and Glock 32. These have 2 mag release notches. Auction price is for 3 mags. More usually available. I accept all credit cards, also cash, personal checks, company checks, money orders, cashier's checks, and bank checks. No credit card fee. Paypal accepted too (no fee). $4 shipping. Florida residents add 7%. I combine shipping. Check out my other auctions. Rich.